I’m writing to wish all the Dads out there a Happy and Healthy Father’s Day and I also have a personal message to share with everyone who cares about and loves their family. Unfortunately my Dad passed away 12 years ago—he was just over 60 and had so many more years of life ahead of him. My Dad was my business partner and my best friend. When I started the company MET-Rx, then EAS, Muscle Media, and Body-for-LIFE, my Dad was in my office every day telling jokes and giving me key insight, legal and business advice (he was a lawyer and had his MBA in his early 20’s even though he had three kids by the time he was just out of high school). His name was also Bill Phillips and right before his death I thanked him and held his hand and told him it was an honor to carry his name. My Dad’s friends called him “BP” and I called him Dad. He never got too caught up in work and never really stressed out about it. To him being successful just meant he had enough money to pay the bills and enough time to relax and go fly fishing or go hiking often in the Colorado Rocky Mountains. On Father’s Day, I don’t have a Dad to buy a gift for or take a card to. I don’t have a Dad to go to the ball game with anymore. It is instead a day I miss my Dad more than ever. I realize each year that so much of my good luck and the success I enjoyed in my previous companies was because of my Dad. He taught me how to work hard, work smart, how to push myself to reach meaningful goals… he taught me how to find the best rivers and streams to fly fish and how to appreciate and enjoy nature. He tried to help keep me humble and grounded during my most successful years at EAS but those lessons took me a little longer to learn and probably didn’t set in until after he was gone. My Dad was a great man who lived a simple, smart, unassuming life. I miss him very much, especially today. Yet I am very grateful for all the years we had and I know the best thing I can do to honor him is to move forward and live a good, productive, and balanced life. Knowing what it’s like to lose my Dad unexpectedly, and long before his time, gives me extra passion and determination to help other Fathers transform their health so their family doesn’t have to go through the pain and grief that comes with losing a loved one to a preventable disease. It’s sad but true: more than 3,000 Dads have already died this weekend from heart disease alone. Most of those deaths were preventable by a few basic lifestyle changes. For over thirty years I’ve been teaching men and women from all walks of life how to incorporate an intelligent and practical exercise, nutrition, and fitness program into their way of living. It’s not a diet, a fad, a silly gimmick like so much of what is out there on TV commercials and internet marketing schemes today. My method is based on a bedrock of scientific truth, medical research, and thousands of hours of real-word experience and application. The most up to date version of the program I teach at my Transformation Fitness and Research Center in Golden, Colorado is called “Health for LIFE” (it’s also the name of a new book I’m working on… think of it as Body-for-LIFE 3.0). It has already helped countless numbers of people lose the unhealthy bodyfat (from 25 lbs up to 150 lbs.) while gaining energy and muscle strength. But it’s not just the outward appearance that dramatically changes in our clients and students… the main benefit of the Health for LIFE plan is that you will very likely live longer — you’ll enjoy greater quality and quantity of life! Physicians even follow my program to reduce their own risk of heart disease, stroke, diabetes, and certain forms of cancer which are lifestyle related. Now of course, none of us have a guarantee that we will live through our 80’s and even longer. In my Father’s case, he contracted an incurable and rare form of lung disease (which went undetected and dormant for decades) from environmental toxin (not too dissimilar from asbestos) that he was exposed to working in a factory as a teenager. The important thing to realize is that even though there are no absolute guarantees in life, far too many Fathers are dying of illnesses that could be prevented with exercise and healthy eating. Please, if you have loved ones that depend on you, don’t wait until it’s too late to change your body and life. The best time to get well is before you get sick and that is the message I’ve dedicated my life to sharing. If you’re overweight, have unhealthy habits, if you’ve been procrastinating and putting off your efforts to get back on track with your health and fitness, please don’t wait any longer! Set a goal to lose 25 to 35 lbs. this summer while strengthening your muscles, improving your heart health, and cutting your risk of dying of a preventable illness in half. A half hour of exercise 5 days a week – a combination of strength training and aerobics – will produce excellent results if you stick with it. And the key to eating right, as I explained in my book Body-for-LIFE, is to eat a balance of quality protein foods, healthy carbohydrates, fruits and vegetables. Eat smaller meals more frequently and drink plenty of water throughout the day. Take your vitamins, Creatine, Omega-3’s and a quality protein supplement to help you get better health improvements faster. Connect with others who are making healthy changes in their lives and most of all, please realize that other people need you and love you and your family is counting on you to be there. You have to take care of yourself – it’s one of the most important things you can do for others (it’s not selfish but rather self-less!). If you’re a parent, you have a tremendous responsibility to live a healthy lifestyle. We want you around for many, many years… far into the future! It does take some work to be healthy but the rewards are more than worth it. Last but not least, I just want to say to my Dad: Thank You, I Love You, I miss you and I know that someday (not real soon, but someday) I’ll see you again. P.S. And by the way, if your Father is still here be sure to contact him right away and let him know how much he is loved and appreciated today. Don’t let the important things go unsaid. You never know for sure if you’ll get a second chance. Build Muscle and Lose Fat Faster with this NEW Natural Growth Hormone (GH) Supplement! Produced by the pituitary gland, growth hormone supports health in a variety of ways and plays a key role in lipolysis (fat burning) and the anabolic process of muscle building. Unfortunately, research shows that as we age, growth hormone levels diminish. For those of us 40 and over, this can be one of the factors that lead to weight gain, reduced energy, and muscle loss. Prescription growth hormone (GH) medicine has been touted by some anti-aging experts as a kind of fountain of youth. Celebrities and world champion athletes have paid over $20,000 per year to receive GH injections. What many of them don’t know is that there is a much safer, natural, economical way to boost GH and receive the anti-aging as well as fitness benefits. The American Journal of Clinical Nutrition has shown that taking safe dosages of key amino acids (building blocks of protein) can significantly increase growth hormone levels. Additional research shows that a specific method of exercise training adds to the supplement effects – producing a huge boost in natural growth hormone secretion. When it comes to GH the body is its own best pharmacy. With specific nutritional supplementation and exercise, we have a safe, practical way to enjoy the benefits of increased growth hormone without any of the side effects of prescription GH medicines. GH10x is an all-new, scientifically designed, nutraceutical – a natural supplement with safe, medicinal like effects. I highly recommend this supplement for people over 40 who have already made a commitment to eating healthy and exercising intensely (GH10x will not work for people who do not exercise). Use 2 servings of GH10x per day while also following a High Intensity Interval Training program, such as the Bill Phillips 5-25 Method. 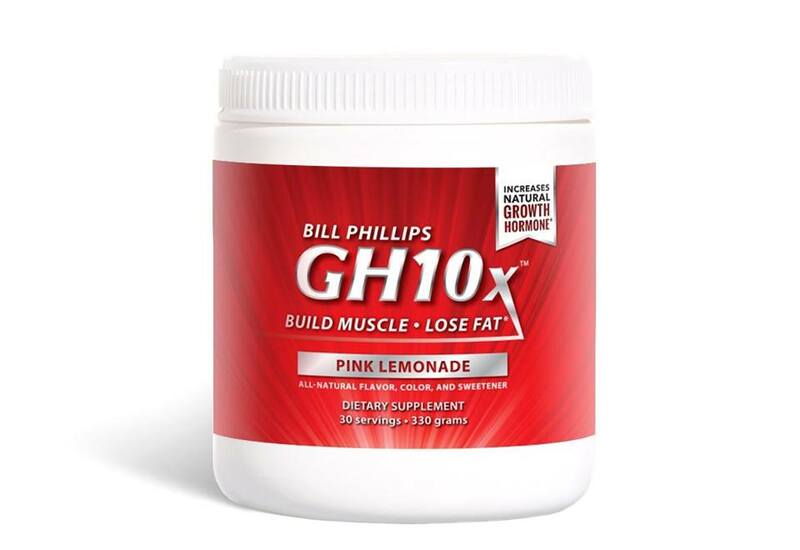 This combination of GH10x plus HIIT will increase your natural growth hormone levels by up to 10 times, allowing you to lose more bodyfat, build more muscle, increase energy and prolong healthy lifespan. Use 2 servings of GH10x per day and follow the recommended workout and you will increase your natural growth hormone levels by up to 10 times, allowing you to lose more bodyfat, build more muscle, increase energy and prolong healthy lifespan. GH10x will be available in our online store beginning in September 2014! No Diets: Eat More to Weigh Less! Diets don’t work. Not in the long run that is. Restrictive diets are not typically sustainable or even healthy. Yet it’s vitally important that we keep our calorie intake within a healthy range. If you’re trying to lose bodyfat you’ll need to consume less total calories than your body burns each day; that requires your body to tap into stored fat to meet its daily energy needs. If you’re already in good condi­tion, or when you reach your goal weight, you can eat a little more but still it’s important to consume only the amount of calories that your body needs; otherwise you’ll start putting the bodyfat back on. Something I’ve certainly learned through personal experience is that I need to work with my body, not against it, when it comes to controlling calo­ries. We’ve got to keep ourselves satiated (satisfied, not starving). And one of the best ways to keep cravings at bay is to eat more often throughout the day, up to six times. When we do this, the body is energized, nourished and satis­fied. We also feel lighter, more aware and more energetic as opposed to being weighed down by big meals for breakfast, lunch and dinner. A scientific study reported in the European Journal of Clinical Nutri­tion cites that people who ate six times a day had a faster resting metabolic rate than those who ate just three meals daily. Your metabolic rate is the pace at which your body burns calories all day and night. This study showed eating smaller meals frequently throughout the day allows people to burn fat more efficiently. Researchers at Georgia State University arrived at the same con­clusion. They found that folks who ate just three meals a day had, on average, a higher percentage of bodyfat than those who ate six times per day. Another study published recently in The New England Journal of Medi­cine showed that in as little as two weeks, people who ate frequent, portion-controlled meals as opposed to three large meals (containing the same total amount of food) reduced their ‘bad’ cholesterol levels by nearly 15%, lowered their cortisol (the stress hormone that contributes to belly fat and premature aging) levels by more than 17% and diminished insulin levels by almost 28%. Another study, this one published in the International Journal of Obesi­ty and Related Metabolic Disorders, found that when people eat frequent meals throughout the day it helps control their appetite. A study published in the American Journal of Clinical Nutrition reported that people are most successful at losing fat and keeping it off when they eat numerous meals throughout the day. Another way eating six small, nutritious meals a day helps you reduce bodyfat is by allowing you to maintain muscle mass. Remember, muscle not only helps the body look good but also makes it more metabolically active. Muscle burns calories even when it’s just sitting there. Fat does not. In fact, for every pound of muscle you gain you’ll burn another 50 calories a day. People who put on 10 pounds of muscle will therefore burn 500 calories more per day. This equals an additional 4-5 pounds of fat burned off every 30 days. Now that we’ve talked about the benefits of eat­ing more frequently, it’s important to understand how to put the right combi­nations of food together. What I recommend is that every time you eat, you combine protein and carbs. Again, this is backed up by solid science. Scientists have also shown that people who eat a balance of protein and carbs have more stable blood glucose and energy levels, better digestion and absorption of nutrients as well as an increased “thermic effect” (fat-burning effect) from each meal. On top of all that, stud­ies show that meals balanced in protein, carbs, and essential fats provide a safe and healthy way to manage the appetite. I’ve discovered the same thing which is why I eat meals that contain a balance of protein and carbs and I suggest that you do too. Make the time — you will love the results! Don’t ever think you don’t have time to eat right frequently throughout the day. The list of my meals from yesterday which you just reviewed takes me less than an hour to prepare and eat. Of course my Nutrition Shakes I can blend up and chug down in just a couple minutes. Lunch takes me about 10 minutes. And dinner is 30-40 minutes. When you plan ahead of time and you prepare in advance, you’ll find you save time and money with the Eating for Life style. And best of all, when you eat this way your body will get stronger, leaner, healthier, more energetic and you’ll feel good! If you like the information in this blog and want to receive, by email, my regular updates, tips, and news about fitness, please sign up to follow my blog at www.BillPhillipsNews.com – it’s FREE! Eating for Life is the scientifically sound, practical, safe, and sustainable nutrition plan for improved health, fitness and weight loss. Created by the author of Body-for-LIFE, the world’s bestselling fitness book, this eating plan does what typical diets can’t: it allows you to enjoy delicious food. and plenty of it, while at the same time losing fat and gaining energy for life. You’ll finally learn the facts about eating right. and also, in this guide, you’ll find 150 meal recipes which are easy to make and taste great! Eat 6 small meals daily, one every two to three hours. Eat a portion of protein and carbohydrates with each meal. Add a portion of vegetables to at least two meals daily. A portion is approximately the size of the palm of your hand for quality protein, your closed hand for carbohydrates, and your cupped hand for vegetables. Consume 2g of Omega-3 fish oil daily or three portions of salmon per week. Drink at least 10 cups of water. Use Meal Replacement Nutrition Shakes such as Right Light, to make sure you are consuming optimal levels of vitamins, mineral, high quality protein, and amino acids necessary for muscle recovery and strength. Plan your meals in advance and record what you eat daily. Plan your grocery list and stick to your plan. 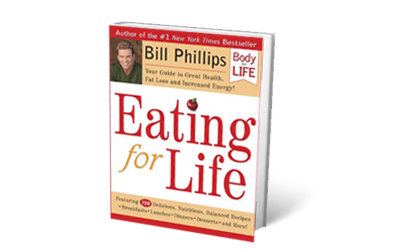 Click Here to get your own copy of Eating for Life if you haven’t got one already! ANSWER: How exciting! You made it in just in time! Yes, by following this blog you are officially signed up and eligible to win the $10,000 top prize! Just get started today by taking your before photo (which I want you to hang onto for 12 weeks before you send it in — Click Here to see the Rules and Regulations for all the details). QUESTION: Bill, I have a lot of body fat to lose, is it ok to do cardio everyday along with the resistance training every other day? ANSWER: Thank you for your question. You can do more cardio of course but I usually don’t recommend it. Over the past couple decades, what I have found works best is to keep the workouts brief but intense and most of all, CONSISTENT. I like to see people alternating days of weight training with days of cardio. For example, weight training on Monday, Wednesday, and Friday and cardio on Tuesday, and Thursday with the Saturday cardio workout being optional. Intense Interval Exercise stimulates the metabolism by positively affecting cellular mitochondria energy production. This means that your body is burning more stored fat all day long and not just during the workout. Intense Exercise is powerful medicine and too much is akin to overdose — it can actually backfire and slow the metabolism. However, even the best exercise methods won’t make up for bad nutrition. It is imperative that we exercise AND eat right. I have a friend, George, who has become 135 pounds lighter over the last year. He works out at my Transformation Center in Colorado and follows my 5/25 program to the T — he gets in 25 minutes of intense exercise, 5 days a week. He has 3 Right Light nutrition shakes a day and 2 or 3 portion-controlled Eating for Life meals. 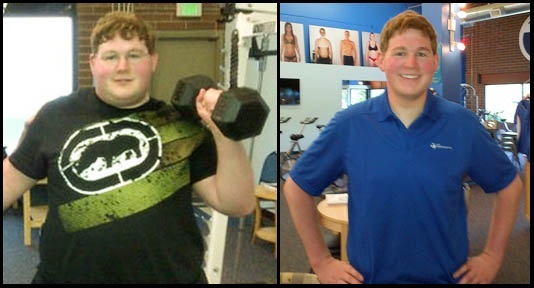 George is 135 pounds lighter — he works out 25 minutes a day! George’s body and life transformation is stunning because he did the right things very consistently for an entire year. He is stronger and healthier and has burned off 135 pounds, as I mentioned above. It seems like so much weight but when you get down to it, it’s just about 11 pounds per month. You don’t have to starve yourself or exercise for hours a day to trim off 11 pounds of unhealthy weight each month. I’m a big proponent of a balanced, practical approach. Big progress is simply little progress compounded over time. It’s more important that your workouts are consistent than long. Whatever you do, just promise me you’ll combine exercise and eating right, and you’ll stick with it long enough to reach your goals and then some. You can do it! P.S. You can read my blog about George’s stunning transformation by clicking here. QUESTION: Which is better… the Body-for-Life weight-lifting routine, or your new 5/25 workout? I’m 46 years old and I want to lose 30 to 40 pounds of fat while getting my muscle definition back. ANSWER: Both routines will give you a great workout. Both will help build muscle. My newer version of the Body-For-LIFE free-weight workout is called 5/25 and it is the first program I’ve developed which is completely based on the science of High-Intensity Interval Strength Training. Intense Interval Training has been proven in scientific studies to be the most effective exercise method when it comes to preventing heart disease, preventing stroke, accelerating the burning of bodyfat, and most important of all (in my opinion), increasing the size, number, and energy production of cellular mitochondria which is THE key to longevity. At age 48, my big reasons for working out are to prevent disease and keep my body as young, strong, and lean as possible — 5/25 High-Intensity Interval Strength Training helps me accomplish all that in one workout. Also, 5/25 works for me because I need a training method that hits the muscles hard but is easy on my tendons and ligaments. With 5/25 I can use less weight and still blast the muscles without injury. With BFL workouts I can lift quite a bit more weight (because of the rest between sets) and that’s not necessarily a good thing for me because I’m just strong enough to damage some nagging shoulder and knee tendon injuries that I’ve recovered from. QUESTION: Hi Bill, I started the challenge Monday and am super excited. I read your nutrition blog that showed your meal plans for a day and that helped me a lot. What are your thoughts on diet soda and alcohol? Complete no-no’s or moderation? Thanks for everything! ANSWER: With nutrition, it is what we do most of the time, not some of the time, that shapes us. So drinking a diet soda from time to time (like I do) isn’t going to make or break your fitness. Regarding alcohol, I use to drink on the weekends when I was in my 30’s and I stayed in really good shape virtually all decade. But once I got in my 40’s, my body’s response to alcohol changed — I felt awful the next day and drinking totally threw off my appetite for healthy foods. I stopped drinking alcohol 6 years ago and it’s been one of the best decisions I’ve ever made. Nowadays, I just don’t crave it or want it. I’ve tried drinking beer and wine again a handful of times over the years and each time it just made me feel unhealthy. I can’t figure out how I ever enjoyed it, but back when I was younger, I could get away with it somehow. Anyways, there are some people who can have a beer or a glass of wine somewhat regularly, and do just great with their fitness transformations. More often than not, what I see is people who have a group of unhealthy habits which are often triggered by drinking and so I suggest that people who want to lose weight and get in shape at least consider giving up beer and alcohol for a few weeks and see how they feel. You can always go back to it if it doesn’t feel right for you, or just enjoy your drinks on Free Day (that one day a week you don’t have to workout or follow any rules). 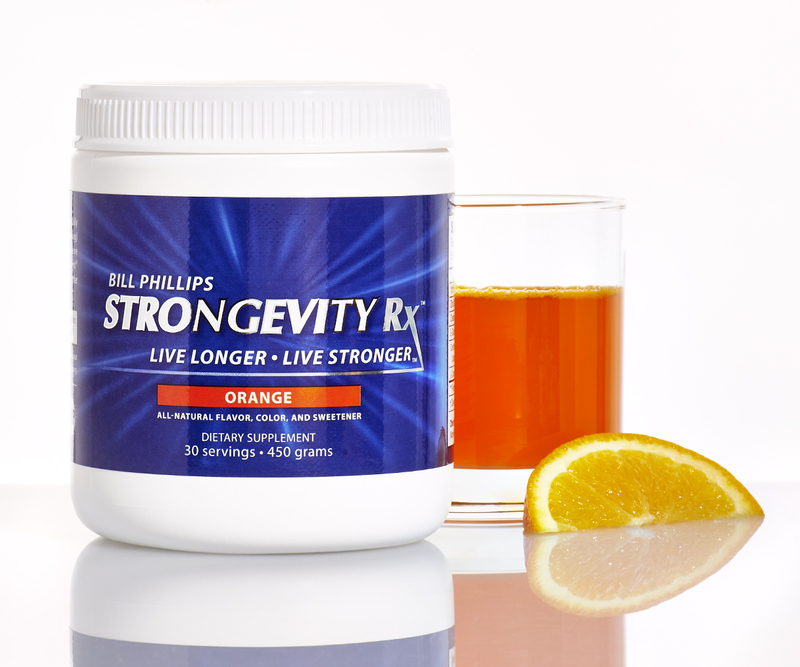 QUESTION: Hey Bill, quick question about STRONGEVITY Rx. I’m a woman who is on the way to becoming 50 pounds lighter and healthier. I’ve been taking 1 serving a day for a week now and I’m experiencing crazy amounts of energy during my workouts. 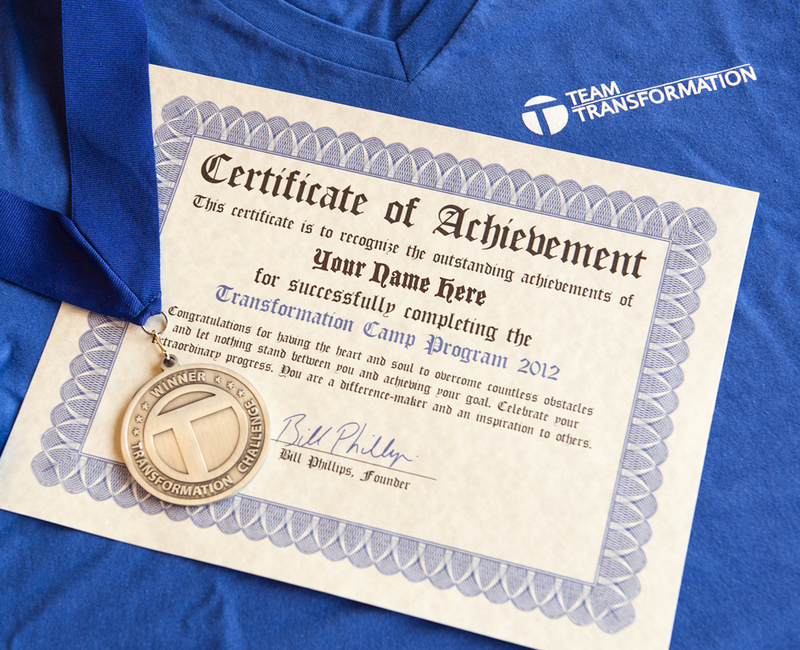 Since I saw you at Transformation Camp, I am 30 pounds lighter. Now I’ve set a new 12-week goal of losing 20 more pounds of unhealthy weight. This past week though, my scale hasn’t moved. I’m eating 4 Right Light nutrition shakes, 1 serving of STRONGEVITY Rx, and 2 Eating for Life meals each day. I’m also following your 5/25 workouts and drinking 10+ glasses of water per day. I heard someone say that STRONGEVITY Rx might interfere with my weight loss. Does that make sense? Should I be using STRONGEVITY Rx while I’m trying to get rid of this next 20 pounds? ANSWER: First thing’s first — You are doing incredibly well — 30 pounds lighter in just three and a half months is excellent progress! You’re losing the bodyfat, strengthening the muscles, and literally re-sculpting your body — not just losing weight. Congratulations! Regarding STRONGEVITY Rx, we know it is a scientific truth that it will absolutely not cause a gain of bodyfat; in fact, studies show that biologically active cholecalciferol (Vit-D3) which is in STRONGEVITY Rx, increases the rate at which the body will burn stored fat as fuel. The Creatine and CoQ10 combination in STRONGEVITY Rx , after the 4 to 6 week mark, will noticeably increase your metabolism (an increase in metabolism is caused by increased energy production by the cellular mitochondria). The ingredients I mentioned here, as well as L-Glutamine, do initially create a cell hydrating/cell-volumizing effect, and that’s a good thing! It means that there is more energy within the cell and even a slight increase in cytoplasm which, when we multiply times 75 trillion cells in the body, can add up to an initial kilogram increase in lean body mass for women (and up to 3 kg for men because of our higher number of mitochondria-rich muscle cells). The increase in cellular hydration plateaus after the STRONGEVITY Rx nutrients have reached saturation levels within each cell. That typically happens within 2 weeks. So, this may be some of what you’re feeling. Keep in mind that it is a healthy process even though you might not see the scale go down for a week or two. The increase in lean body mass and cellular energy will kick your metabolism up a notch and allow you to train with even more intensity during your interval workouts, this will even further increase your metabolic rate, which of course, is also a good thing! One thing I do want to suggest though… let’s try cutting back to three nutrition shakes a day for the next week and see how that feels. I’d like to see your daily meal plan consist of 3 nutrition shakes, 1 serving of STRONGEVITY Rx, and 2 protein and carbohydrate balanced, portion controlled meals. I think this might be just right for you at this point in your transformation. Lastly, make sure you’re giving yourself credit for the incredible progress you’ve made so far. I guarantee that if you keep working hard and remain consistent, you WILL reach your next 12 week goal in championship style! If you like the information in this blog and want to receive, by email, my daily updates, tips, and news about fitness, please sign up to follow my blog right here at www.BillPhillipsNews.com — it’s completely FREE! I’m writing to wish all the Dads out there a Happy and Healthy Father's Day. Unfortunately my Dad passed away 12 years ago. He was just over 60 and had so many more years of life ahead of him. My Dad was my business partner and my best friend. When I started the company MET-Rx, then EAS, Muscle Media, and Body-for-LIFE, my Dad was in my office every day telling jokes and giving me key insight, legal and business advice (he was a lawyer and had his MBA in his early 20’s even though he had three kids by the time he was just out of high school). His name was also Bill Phillips and right before his death I thanked him and held his hand and told him it was an honor to carry his name. My Dad's friends called him “BP” and I called him Dad. He never got too caught up in work and never really stressed out about it. To him being successful just meant he had enough money to pay the bills and enough time to relax and go fly fishing or go hiking often in the Colorado Rocky Mountains. On Father's Day, I don't have a Dad to buy a gift for or take a card to. I don't have a Dad to go to the ball game with anymore. It is instead a day I miss my Dad more than ever. I realize each year that so much of my good luck and the success I enjoyed in my previous companies was because of my Dad. He taught me how to work hard, work smart, how to push myself to reach meaningful goals… he taught me how to find the best rivers and streams to fly fish and how to appreciate and enjoy nature. He tried to help keep me humble and grounded during my most successful years at EAS but those lessons took me a little longer to learn and probably didn’t set in until after he was gone. I just want to say to my Dad: Thank You, I Love You, I miss you and I know that someday (not real soon, but someday) I’ll see you again. Very Sincerely, Bill Phillips P.S. And by the way, if your Father is still here be sure to contact him right away and let him know how much he is loved and appreciated. Don’t let the important things go unsaid. You never know for sure if you’ll get a second chance. Age 52 -- working out still works. It takes a little longer to recover from each workout at this age, at least for me. Body wants to fall apart with age but if you don't let it, it won't. Don't quit whatever you do!